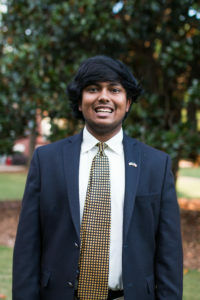 Vaibhav Kumar is a second year student at the University of Georgia and is double majoring in International Affairs and Political Science with a minor in statistics. He is most passionate about education legislation and is involved on campus with the Georgia Political Review. When he is not in class or traveling to the dome with Representative Frye, he is working on a CURO research project about the democratization processes of India and Pakistan.